With no idea where she comes from, or who she is really is, Ruby has gone through life focusing on her passion for science. But for the last seven years she’s dreamed of the same three men. 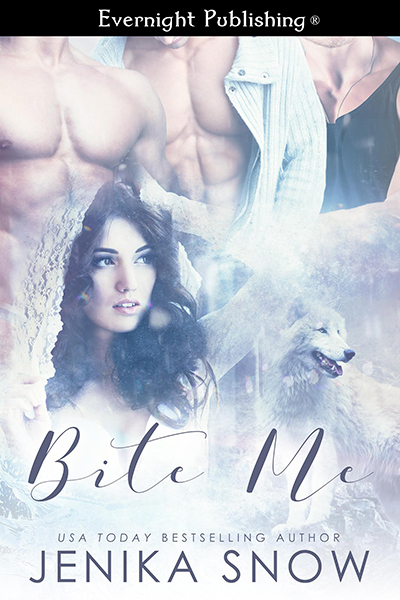 It isn’t until she’s drawn to barren and icy Alaska for her research that she comes face to face with the men from her dreams…men who are also shifters. They tell her she’s their mate, and the three of them will share her. They’re dominating and possessive, and want her to be their first and only. When they mate it’s for life. She knows she can run, but Ruby also knows they’ll chase her. What she doesn’t know is if she’s ready to accept everything they want, and everything she finds out.